For the last ten years city librarian Luna Park has been cataloging the art to be found on NYC streets. She quickly learned that for those that pay attention, the street can provide as much of an arts education as a museum. Ever since the City banished graffiti from the subway trains, it's streets have developed into a vast playground for a complex culture, made up of distinct communities, each with their own hierarchies, values and sets of rules. 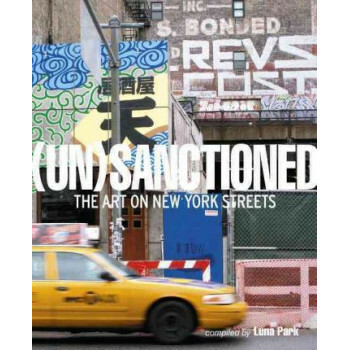 This book is the culmination of a decade of obsessively keeping up with NYC graffiti and street art, a time period which saw a seismic shift in the public perception and acceptance of the artform. The public space within which artists operate is fluid and new boundaries are being pushed every day. The streets are teeming with a vast spectrum of (un)sanctioned art, running the gamut from quick, illegal handstyles to full-blown production murals.